Portfolio registry Donuts is to jack up prices on most of its 241 gTLDs by up to 9% later this year. 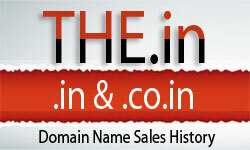 Base-rate price increases of between 6% and 9% will his 220 TLDs, while 16 will remain at their current pricing. The increases, which do not affect registry-reserved “premium” domains, will likely mean an increase of a few dollars in most cases. Five gTLDs will see their prices reduced. Donuts said .group will see a 35% price reduction. It currently sells for about $30 a year at GoDaddy.